One winter I crashed my motorcycle , with a friend on the back. I shouldn’t have been riding that day, but I was young and fearless of the black roads, fast and easy in my ways. As the bike slipped from under us my head filled with words. The slow motion moments of calm just after surprise and just before regret are bliss. I remember in that moment I wanted to say everything to him. How could I say everything in a split second? How could I bury my words in his heart? Check out the first released track from it, “Five Seconds,” HERE. 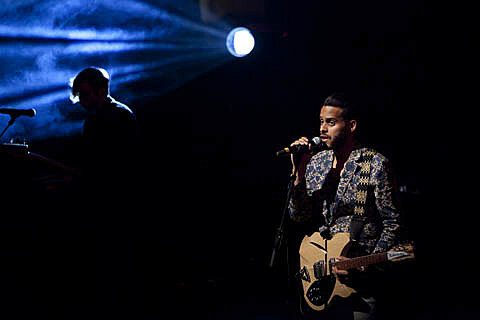 Twin Shadow are gearing up for a North American tour, which will pull into Austin on September 14 at Mohawk. Tickets go on sale Friday (5/11) at 10AM. 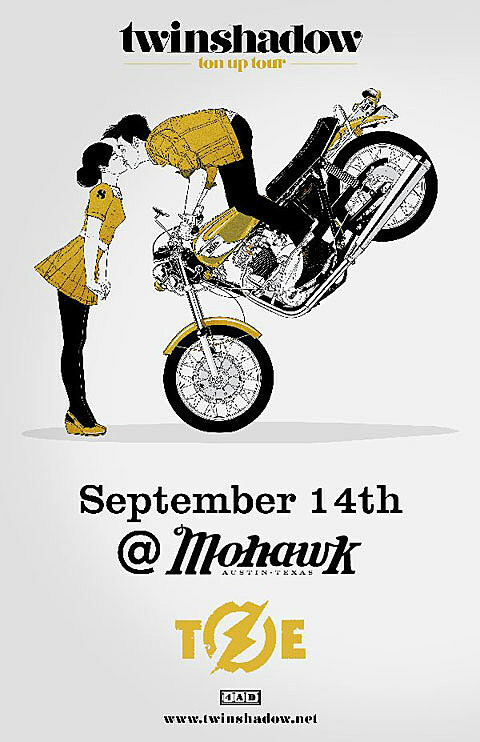 All Twin Shadow tour dates and a flyer for the Mohawk show are below.